The creative people at Crowd Battle realize some disputes just can’t be resolved with a few people. They needed an online platform to help people hash out age old arguments through social votes. 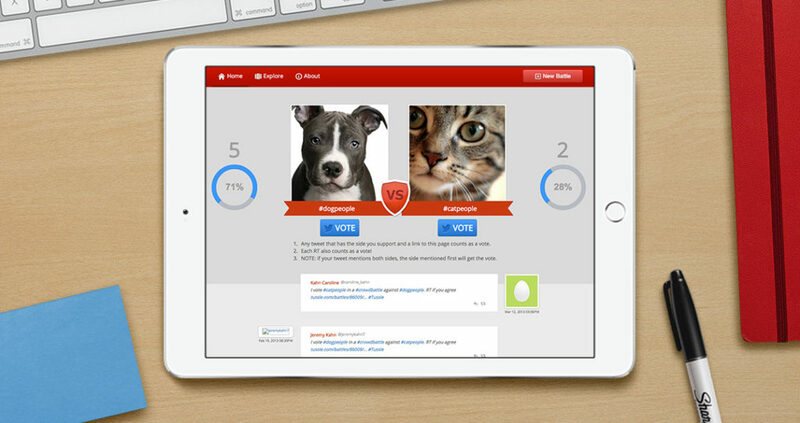 We developed this online platform using Drupal and integrated it with Twitter to allow users to retweet their favorite battles and vote. 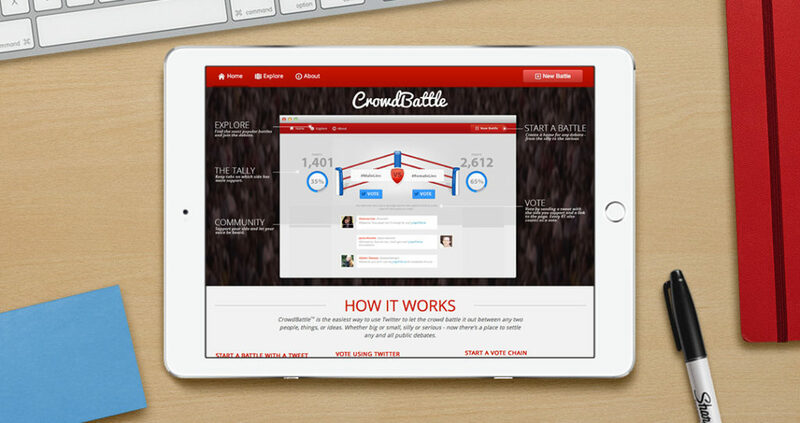 This allowed Crowd Battle’s users to chime in easily and take a stand. Many heated battles have been created and users have enjoyed engaging face-offs. If there’s anything the internet loves more, is arguing on life’s greatest questions (Cats or Dogs? Coke or Pepsi? Apple or PC? ).